In August-October 2018, Belarus and Russia held difficult negotiations on duty-free supplies of crude oil and oil products for the remaining part of 2018 and for 2019. Russia insisted that in order to receive concessions in future, Belarus had to supply oil products produced from Russian oil only through Russian ports. Belarus, on the contrary, refused to abandon Baltic ports in favour of the Russian ones for political and economic reasons. Several Russian analytics claimed that with Russia’s termination of the duty-free oil supplies, Belarus’s economy would immensely suffer. 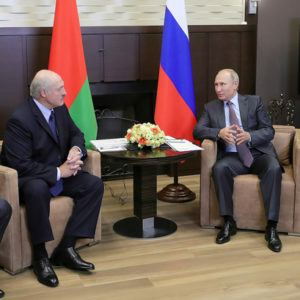 In order to stay afloat, Belarus would have to immediately agree on Russia’s demands on further integration and thus lose a large part of its sovereignty. Moreover, in the times of economic hardships, Alexander Lukashenka could lose his presidency as well. On 10 August, Russia suspended the provision of loans to Belarus and ceased its duty-free deliveries of crude oil and oil products. The reason for that was the refusal of the Belarusian authorities to supply oil products produced from Russian oil through Russian ports. 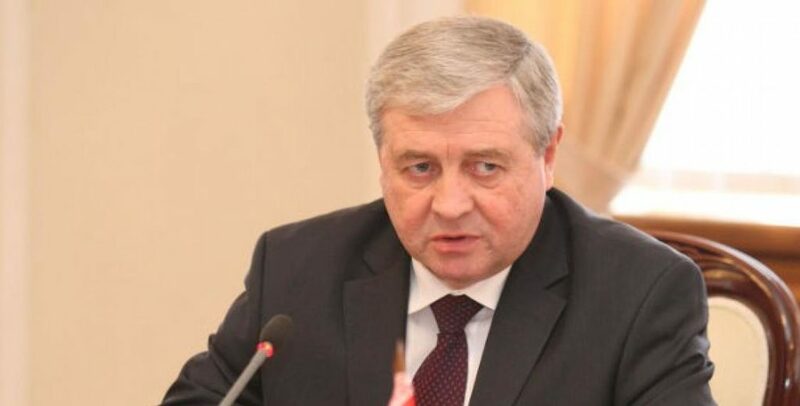 Mr Belozerov, the head of Russian Railways, informed the Russian President Vladimir Putin that the Belarusian oil refineries refused to cooperate with Russian Railways, despite the 50% discount on the transportation of their products. Belarus continued to use the infrastructure of Lithuania and Latvia for the transportation of oil products. 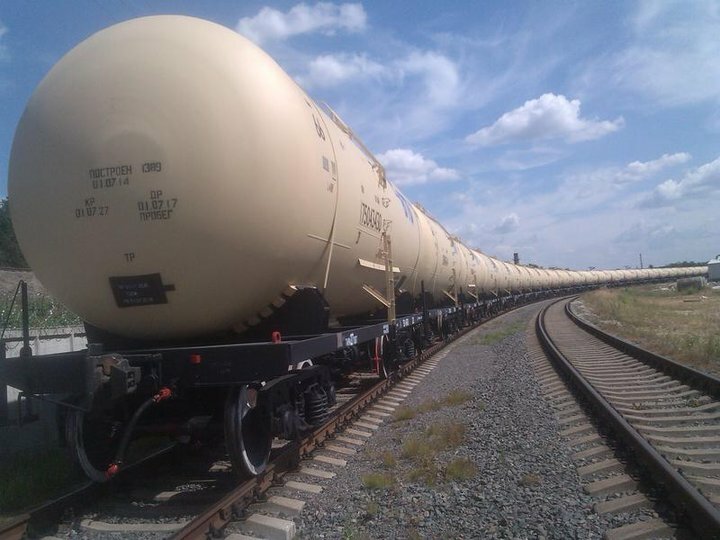 According to Belozerov, since the beginning of the year, Russian Railways has transported only 300 thousand tons of oil products produced in Belarus – a far cry from the millions of tons that Belarus has been transporting through Baltic ports. Deputy Prime Minister of Belarus Vladimir Semashko said that Belarus would not reorient the supply of its oil products from the Baltic countries’ ports but would be ready in 2018 to export up to one million tons of oil products through Russian ports would it be cost-efficient. 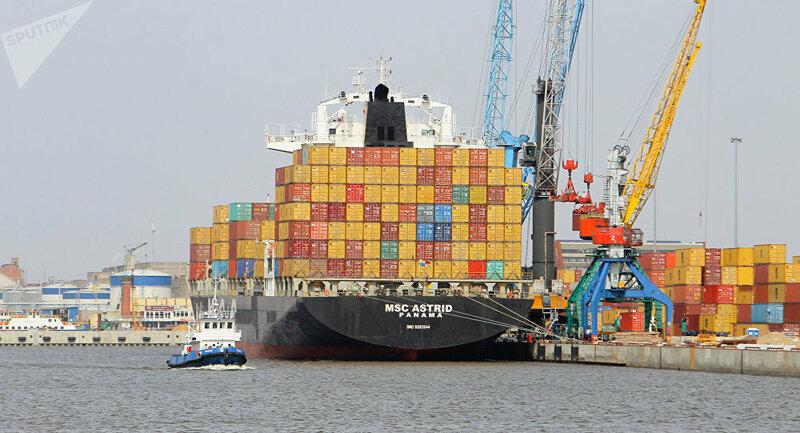 It follows from the statements of Belarusian government officials that, besides economic benefit, political reasons remained no less important reasons for refusing to use Russian ports. Abandoning the Baltic States’ ports in favour of the Russian ports would mean increased dependence on Russia. In addition, by controlling the Belarusian export of oil products (and it remains the most important article of Belarusian exports), Russia would have fully accurate (up to a ton) data on its volume. It would then be impossible to repeat the situation of 2011-2012, when, in violation of its obligations towards Russia, without paying duties to the Russian budget, Belarus sold oil products worth over 1.5 billion USD. 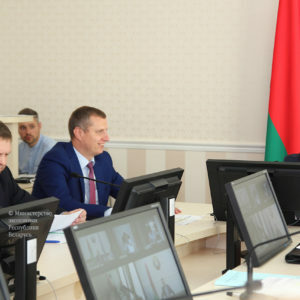 Belarusian officials said that, given the existence of the union state of Belarus and Russia, Belarus should receive compensation for losses caused by the termination of transfer of the export duty on oil products to the Belarusian budget. On 22 August, Lukashenka landed at Sochi to meet with the President of Russia. He was immediately made to understand that there would be no easy talks. At the airport, he was met by the head of the administration of Krasnodar Region. On the eve of the talks, Lukashenka said that he would discuss with Putin questions related to the resumption of duty-free oil supplies and the provision of loans. However, there are reasons to believe that Putin spoke with Lukashenka as he would speak with the head of the administration of one of the Russian regions, who asked him to provide subsidies. There was no regular press briefing after the talks. Lukashenka failed to attend the “cultural program” after the meeting – a wrestling tournament. Off with oil subsidies – and off with Lukashenka? At that time, Belarus appeared in a difficult situation. If Russia proceeded with a unilateral decision to terminate the duty-free oil supplies, the price of crude oil for Belarus would have significantly increased, which would entail strong deterioration in the balance of payments. The budget losses for Belarus would be so large that they could not be covered by the current sources of foreign exchange earnings. E. Koltashov, a Russian energy expert, claimed that “in this situation, Belarus [had] only one option – to integrate Russia”. a possible collapse of the Belarusian economy will force the country to accept all Russia’s conditions for the sake of survival, and these are well known. This is the deployment of a Russian airbase in Belarus; the introduction of a single currency for the two countries with an emission centre in Moscow; and the establishment of an interstate political and economic body like the European Commission, whose decisions will be binding on Minsk. Only after Minsk agrees to all these conditions will Moscow give the go-ahead to the implementation of a kind of “Marshall Plan” to save the Belarusian economy from the default”. 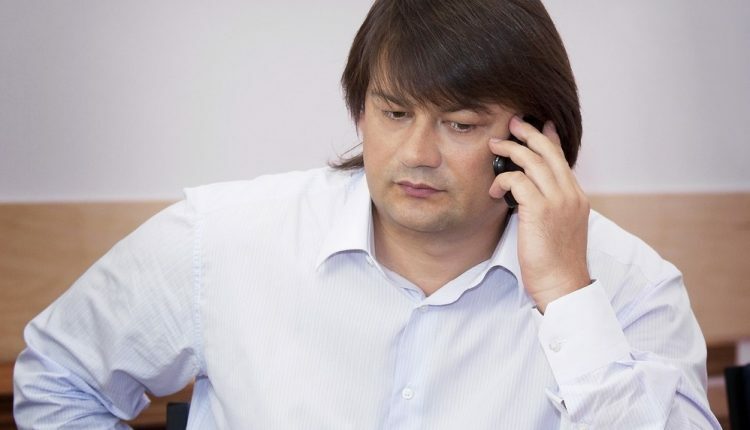 Mr Holmogorov, a Russian publicist interviewed by the website EurAsia Daily, noted that in the background of economic crisis in Belarus, Russia could give a clear signal to the Belarusian society that it supported not Lukashenka but another politician, a pro-Russian one. In early August, the Russian news agency TASS published a report that Lukashenka had a stroke. This information had a certain resonance. Lukashenka himself denied those rumours. How long will the peace last? By the end of September, it was already clear that Russia underestimated Belarus’s capacities to resist pressure. The threat of Ukrainian autocephaly added additional bonuses to the Belarusian side. On 22 September, Putin called Lukashenka. It was at the initiative of the Russian side that they discussed and resolved the issue “on the implementation of agreements on the cash inflow from crude oil duties to the budget of Belarus”. The sides did not negotiate the issues of creating a common visa space, of dislocating a Russian military base in the territory of Belarus, of selling Belarusian enterprises of the military industrial complex. The Russian side neither set the claim to transport oil products via Russian ports. Nevertheless, though Russia has recently backed down on its threats, the question of Belarus’s dangerous economic dependence on Russia remains as acute as ever. When Belarus eventually fails to find reasonable counter-arguments, Russia may exert further pressure on Belarus to proceed with genuine integration as it is understood in Moscow. A high probability remains that such negotiations will be accompanied by pressure, including the curtailment of oil and gas subsidies on a critical scale for Belarus.